On the footsteps of my post regarding “show don’t tell” I’m now thinking about another truism for the novice writer. It’s short, sweet and therefore easy to remember, expressed here via the Whims iPhone app. 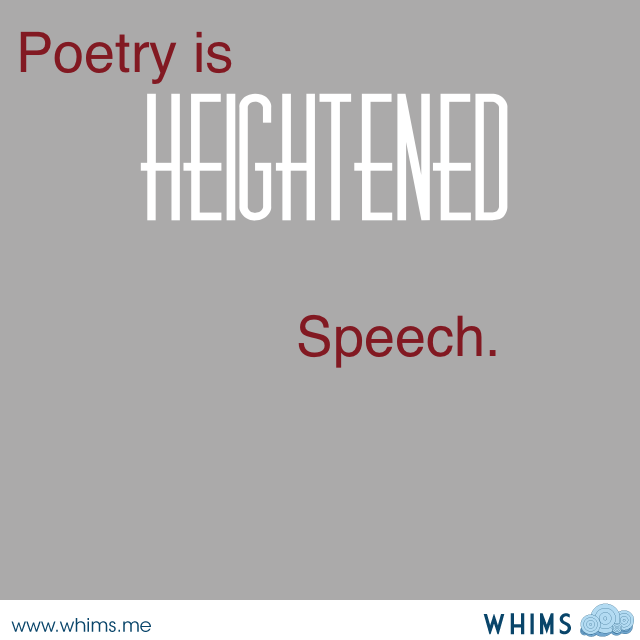 Your poem should sound like natural, yet notable, speech. If it’s a clunky string of adjectives you’ve still got revising to do. As with all good advice, it’s easier to give than to follow, but I’m thoroughly enjoying the effort and the WRIT 100 journey.